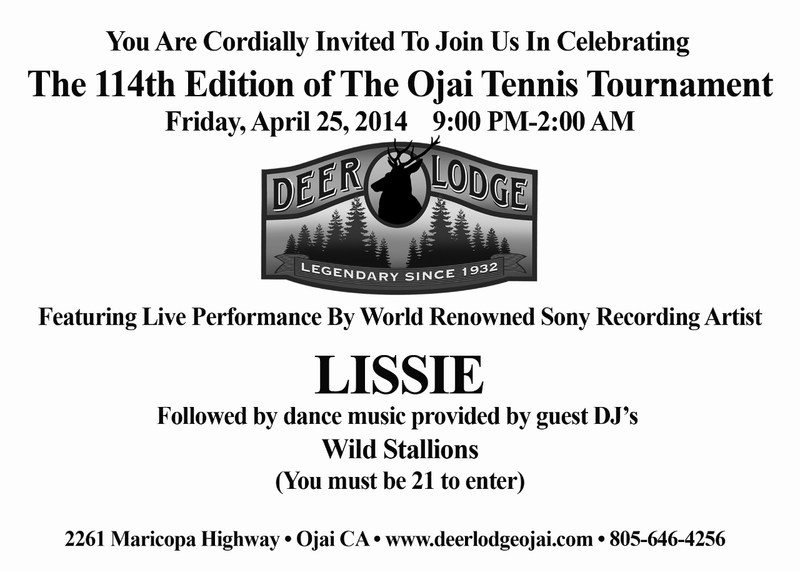 Come celebrate Ojai Tennis Tournament Week with our friends at the Deer Lodge this Friday night from 9 p.m. to 2 a.m. 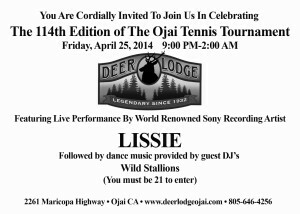 Featuring live performance by world renowned Sony recording artist LISSIE! Followed by dance music provided by guest DJ Wild Stallions.